What did the different branches of our distant hominid cousins have in common? To answer this question, 2 fossil skulls were scanned on 20 February by a machine called XtremeCT, initially designed for space medicine. The results of this unique scientific initiative were presented last week. A few millimetres under the surface of our teeth is an interface between two types of tissue: enamel, which gives us our gleaming white smile; and dentin, which underlies the enamel. The features of this interface are pretty constant within the same species, since they are genetically encoded. 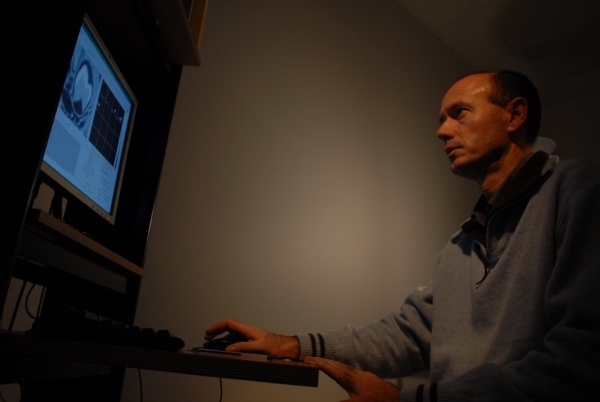 Hence the value of studying it to distinguish descendants with a common genetic heritage among a set of very ancient fossils, the aim being to establish the relative positions of each of the different branches of hominids in the human family tree—crucial information to perhaps one day unravel the mystery of our origins. The 2 species put through the ExtremeCT scanner. The 1st, Australopithecus africanus, is over 2,300,000 years old. The 2nd, representative of the 1st humans, is less than 2,300,000 years old. Crédits : José Barga. Until now, the only way to study the dentin/enamel interface was to actually cut through teeth, but this method was obviously destructive. Now, using the XtremeCT scanner developed to monitor bone demineralization in space, it can be done without damaging fossils—vital when only one such fossil exists. “The skulls scanned with XtremeCT in Toulouse are exceptional, since they are the only 2 Australopithecus fossils in the world with a full set of teeth,” explains José Braga, the Professor of Anthropology behind this unique initiative. 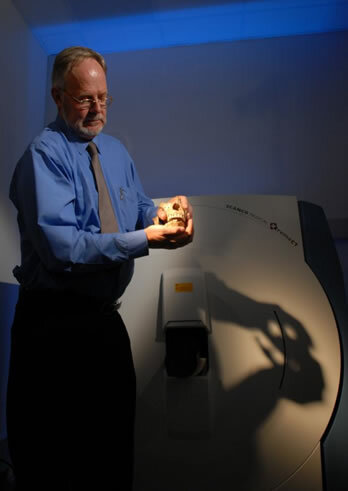 The XtremeCT scanner was developed with funding from CNES, ESA and the European Union for a European project to study bone quality. While the space agencies see it as a resource for monitoring the health of astronauts’ bones on their return from space, public health also has much to gain. The XtremeCT technology could ultimately enable screening for early signs of osteoporosis by performing “virtual biopsies” of bone. Capable of deciphering clues from our distant past and preventing an illness that today affects half of women over the age of 60, XtremeCT is set to become a most useful tool for life sciences.